Country Dog Services offers several different accommodations for our guests. 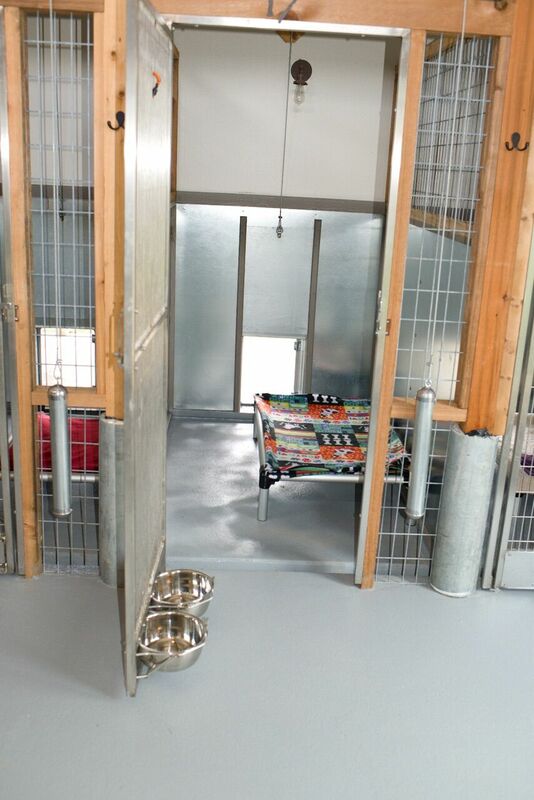 All of our kennels are indoor/outdoor with access to a covered verandah and dog run via doggy door. Doors are opened first thing in the morning and closed at night for security. 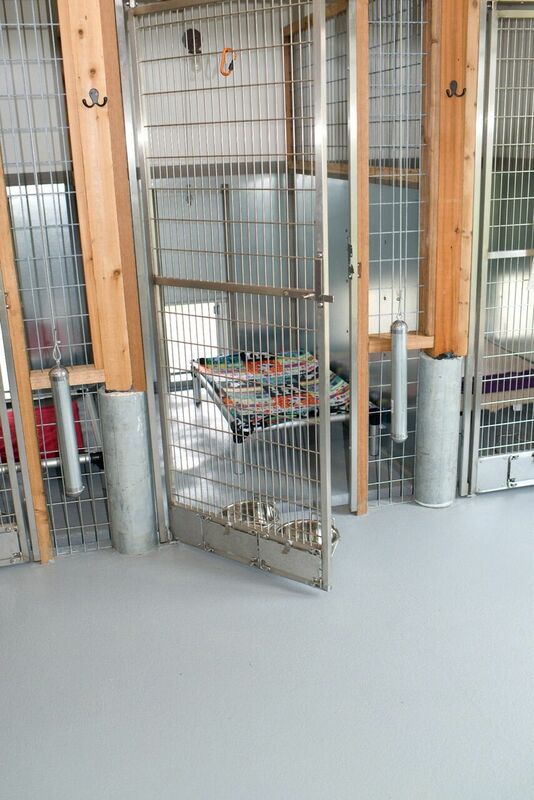 Each boarding area is climate controlled and we have heated floors to keep paws warm in the winter. Standard -- Our Standard kennels are 4x6 with access to a covered verandah and a 4x16 dog run. 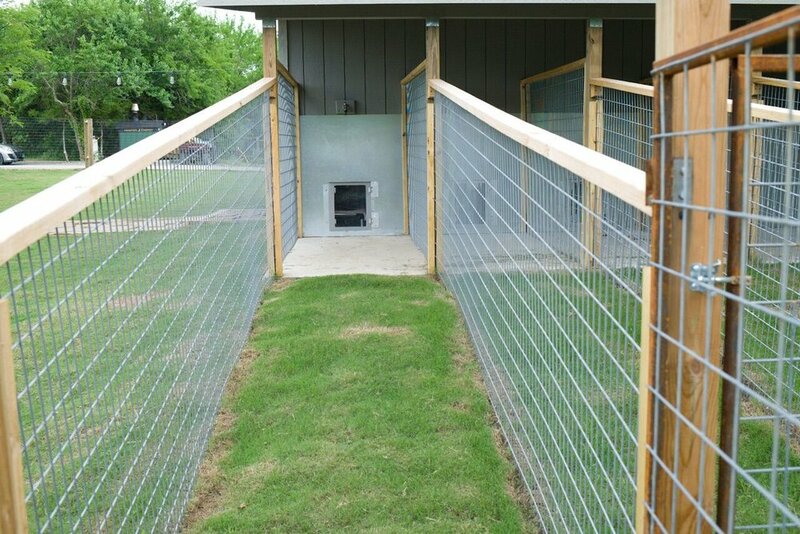 Luxury -- Our Luxury kennels are 6x6 with access to a covered verandah and a 6x16 dog run. Slobberbone Doghouse -- The doghouse kennels are 5x6 and attach to a large covered deck and an expansive play yard (150x50). We offer transportation to and from your home! We charge $0.65 a mile for pick up and delivery, with a $30 minimum charge. All guest must be current on vaccinations. We require Bordetella (every 6 months), Rabies and DHLPP. *We will not allow any animal to board without this paperwork. All guests are required to be on a flea and tick control program. If live fleas are found on your pet upon arrival, we will treat immediately with a Capstar pill for $12. Please be advised, we require a credit card on file for all new reservations. If you need to cancel your reservation, please do so within 48 hours of your original drop off date. If you are unable to cancel within 48 hours, a $35 per dog fee will automatically be charged to the card on file. A $25 per dog fee will be applied to all dogs picked up after hours. We encourage you to bring your own pet food, enough for the entire stay, so as not to disrupt your pets diet. However, for your convenience, Fromm Family and Stella & Chewy brand food is available for purchase. Guests are always provided water, replenished throughout the day. We will provide soft, cozy bedding for your pet, free of charge. However, if your pet has a special bed or blanket, or toys that you would like to bring, please feel free. Please understand we are not responsible for any damage your pet may cause to blankets, bedding and toys while boarding.